Patricia received a BA in psychology and biology from Rutgers College and her Ph.D in biological psychology from the University of California, Berkeley. After postdoctoral positions at the Wake Forest School of Medicine and the National Institute on Drug Abuse, Patricia joined the Ernest Gallo Clinic and Research Center at the University of California, San Francisco, as an Assistant Professor in 1999. She was appointed as Associate Professor in 2006, and named the Howard J. Weinberger Endowed Chair in Addiction Research at UCSF in 2011. In 2014, Patricia joined the faculty of Johns Hopkins University where she is a Bloomberg Distinguished Professor with joint appointments in the Department of Psychological and Brain Sciences in the Krieger School of Arts and Sciences, and in the Solomon H. Snyder Department of Neuroscience in the Johns Hopkins School of Medicine. Youna received her BS in cellular biology and physiology from the University of Lille in France. She then completed her Ph.D in Bordeaux, France under the supervision of Dr. Serge Ahmed. During her Ph.D, her main objective was identifying psychological and behavioral determinants of choice between drugs of abuse, specifically cocaine and heroin, and sweet water. 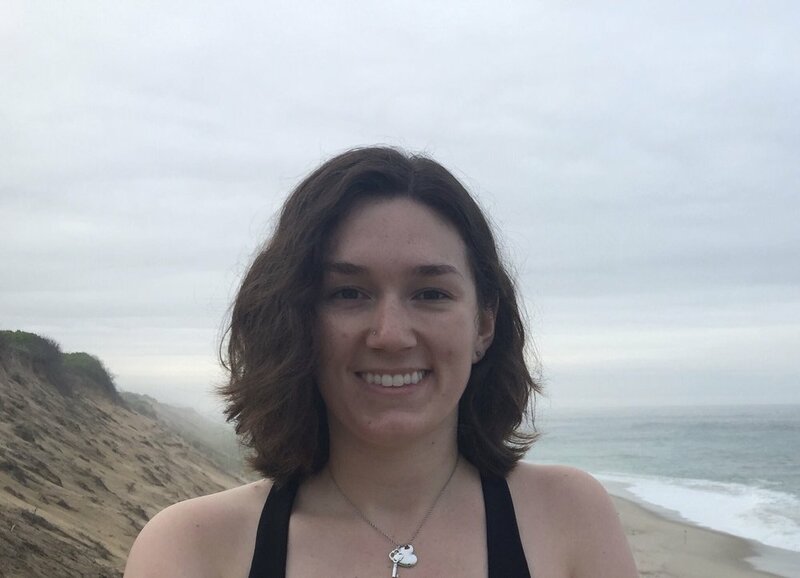 She joined the Janak Lab as a postdoc in February of 2015 and is now investigating the neural circuits underlying goal-directed and habitual decision making using optogenetics and in vivo electrophysiology. In her spare time she enjoys eating good food, drinking good wine and beer, hiking, and climbing. Emma is from Scarborough, Maine. She received a BS in biology from Massachusetts Institute of Technology in 2016. While at MIT, she worked with Dr. Hazel Sive to study the genetics of neurodevelopmental disorders using zebrafish as a model system. She began her MD/PhD at Johns Hopkins School of Medicine in 2016. After completing the first two years of medical school, she began her PhD studies in the Solomon H. Snyder Department of Neuroscience and joined the Janak Lab in the fall of 2018. She is interested in the neural circuits underlying negative reinforcement, especially as it relates to opiate addiction. When not in lab she’s usually exploring the excellent Baltimore food scene, baking up treats for the lab, or reading. Kurt is originally from Richmond, MI, a small farmtown with a bowling alley in the middle of a cornfield. He received a BS from the University of Michigan-Ann Arbor in 2015 with high honors in neuroscience. While at Michigan he worked with Dr. Shelly Flagel and studied systems mediating the attribution of incentive salience to reward-paired cues, particularly on the role of dopamine. He worked on a wide array of projects and helped establish the paraventricular nucleus of the thalamus as a key region gating the attribution of incentive salience to food-paired cues. He joined the Janak Lab in the fall of 2015 as a biopsychology graduate student and is interested in the neural circuits underlying motivation. He is currently investigating the ability of cues or contexts to resolve ambiguity about the immediate motivational significance of reward-paired cues. If you find Kurt not thinking about science he is likely enjoying craft beer, brewing his own beer, or watching Bravo. Tabitha is from La Habra Heights, California. She received a BA from Cornell University in psychology, with a minor in neuroscience. While at Cornell, she worked with Dr. Michael Goldstein to study the role of social interactions in birdsong learning and wrote an honors thesis on the developmental effects of arginine vasotocin on song learning in zebra finches. Afterwards, she spent a year working with Dr. Rachel Smith at Texas A&M University studying the neurobiological mechanisms underlying cue-induced drug seeking and modeling habitual and compulsive drug seeking. She joined the Janak Lab in the fall of 2016 and is interested in the neural circuitry involved in reward, particularly the association between cues and rewards. When not in the lab, she is usually exploring places to eat, watching TV, or running. David is from Arlington, MA. He graduated from Yale University in 2014 with a BS in psychology, with a focus in neuroscience. Afterwards, he spent a year working in the laboratory of Dr. Ralph DiLeone at the Yale School of Medicine studying the neural circuitry underlying feeding behavior. His projects included packaging novel AAVs, breeding new strains of transgenic mice, and developing an optogenetics-based model of anorexia. He started pursuing his PhD in the Solomon H. Snyder Department of Neuroscience at the Johns Hopkins School of Medicine in fall 2015 and joined the Janak Lab in summer 2016. He is interested in comparing the neural ensembles that encode different reward modalities. If he's not in lab, David is likely singing, running, or mentoring students across Baltimore. Chan is originally from South Korea and grew up in Cupertino, California. He graduated from Trinity University, TX with a BS in Biology. While at Trinity University he worked in a Practical Internship for a year and learned about general vivarium systems and how to work with various lab animals. He joined the lab in May 2018. Outside of lab Chan enjoys singing classical songs, watching movies, and exercising. 2000-2014 T. Mike Gill, Ph.D.
2014-2017 M. Flavia Barbano, Ph.D.
2001-2003 Maria Pia Arolfo Ph.D.
2012-2016 E. Zayra Millan Ph.D.